Royal Caribbean and Port Canaveral reached an agreement that will keep Freedom of the Seas sailing out of Brevard County, Florida through 2015. 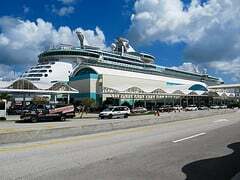 The deal was approved by the Canaveral Port Authority board unanimously. The deal's specifics say Royal Caribbean will keep Freedom of the Seas, or another ship that size or larger, in the port through the end of 2015. Freedom of the Seas was once the largest cruise ship in the world and remains in the top five, sailing out of Port Canaveral, Florida with 7-night sailings throughout the year to the Eastern and Western Caribbean. J. Stanley Payne, Canaveral Port Authority Chief Executive Officer, is happy the deal got done, "It has been a big day for us. I think that's a vote of confidence for the port." We love to explore the ports that Royal Caribbean stops at and find real, authentic experiences while in town. 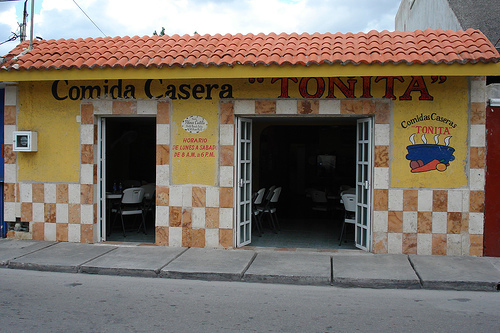 While in Cozumel, Mexico, we set out to find the best authentic Mexican food we could find on the island and I think Comidas Caseras Tonita is exactly that. 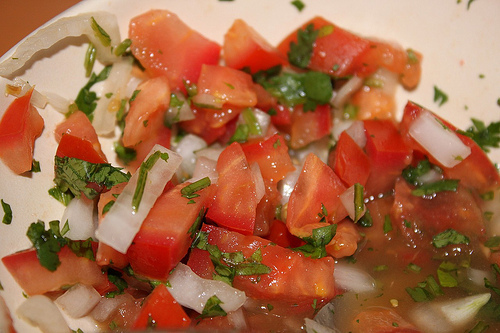 Comidas Caseras Tonita is a family run restaurant off the beaten path in Cozumel, Mexico offering home made Mexican dishes. 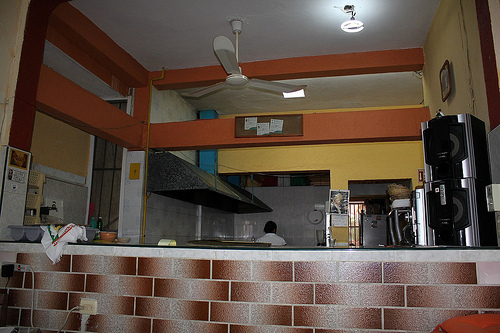 While we were there, two women ran the kitchen and took our orders. They really didn't speak much English, but we were able to communicate what we wanted to them. The menus at the restaurant are in Spanish and English, so you can know what you're ordering without being fluent in Spanish. The room you dine in is an open air room, that reminds me of a living room in some ones house in Mexico. There are book shelves along the wall as well as music playing for your entertainment. The restaurant is rustic enough to feel "real" but not concerning enough to scare away American tourists, like ourselves. While we enjoy eating authentic food, we don't want to feel like we've gone "too far" into the local element and feel unsafe. The restaurant was inviting and warm and felt like we were eating at a friends house rather than a restaurant. 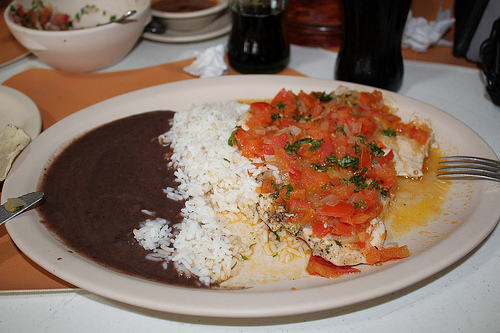 The menu consists of Mexican dishes that include chicken, fish and steak. There's also a wide breakfast selection that you can order at anytime during your stay. 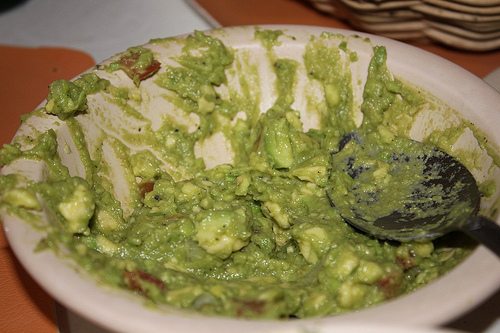 Before arriving at Comidas Caseras Tonita, we had heard they had the best guacamole on the island and it was something we ordered as well. Given the reputation we had heard about, we ordered guacamole, salsa, chips and something called "Mexican style chicken". We didn't want to gorge ourselves, but we wanted to get a good taste of what this restaurant has to offer. After placing our order, we immediately knew this place was looking good when we could see in the kitchen the women preparing everything from scratch. 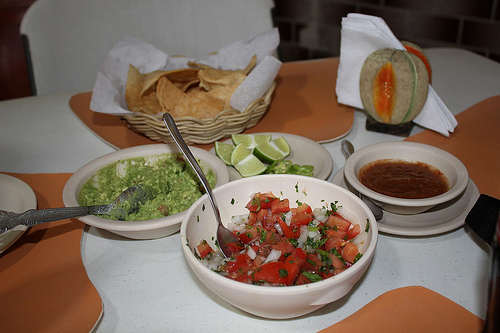 The chips were fried on the spot, the guacamole was made from fresh avocado and the salsa was cut up from fresh vegetables. Very soon the aroma in the air was filled with our food. First up were the chips, salsa and guacamole and I can safely say that the lofty expectations I had in my mind were quickly met and surpassed. It's hard to communicate in blog form just how good the food was. You could really tell from eating the food how fresh everything was. There wasn't anything that tasted like it had been frozen previously. Back in the USA, my family are quite the connoisseurs of Mexican food but these appetizers at Comidas Caseras Tonita were so much better than anything we had gotten at home. We had gone through half of the food and two orders of chips and then our Mexican style chicken was brought over. Immediately I wished I had skipped breakfast on the ship so I could feel hungrier. On the outside, the chicken didn't really look all that different from chicken dishes I had ordered back home. Granted, it wasn't swimming in melted cheese as is often the case with Mexican dishes in the USA, but once I took a bite, I could taste the difference right away. The chicken was moist, tasty and even had a sense of feeling "light". I'm not sure if it was the euphoria my taste buds were in from the salsa and guacamole earlier, but this tasted like one of the best chicken dishes I had ever had in my life. A definite top 10 dish. 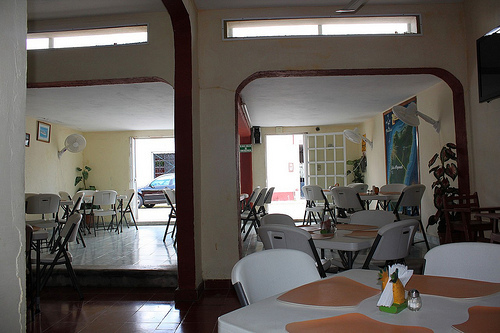 If you're looking for authentic Mexican food, Comidas Caseras Tonita is by far a great choice while in Cozumel. On previous cruises to Cozumel we had tried other restaurants in an effort to get an authentic meal (Pancho's Backyard, Casa Denis) and while Casa Denis was our previous front runner, I think Comidas Caseras Tonita is our new favorite local restaurant on Cozumel. To me, part of going on cruises is the adventure of getting out there and trying something new. While Royal Caribbean thinks that can mean climbing the rock wall on the ship or zip lining in Labadee, I love to explore the ports on my own and if you have any desire to try to explore Cozumel on your own, then I really believe that Comidas Caseras Tonita is a great spot to have lunch at. 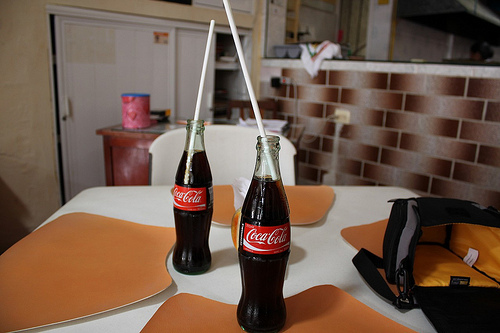 The cost of the food was less than $20 (we also ordered two rounds of Cokes) and the service was impeccable. Eating at Comidas Caseras Tonita made me feel like I was on an episode of Anthony Bourdain's No Reservations television show. Walking directions: Walk south from the plaza on avenida 5 Sur for 1 block, then turn left on calle Salas and walk east 1 1/2 block and the restaurant will be on your left. Officials from the New Mangalore Port Trust say Royal Caribbean is likely to send 13 cruise ships to its port in one year. 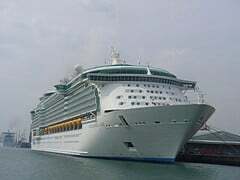 Traffic Manager for the New Mangalore Port Trust, S. Gopalakrishna, claimed that Royal Caribbean sent a team to the city to visit the port on Tuesday. While at the port, Royal Caribbean also held discussions with the Chairman of the New Mangalore Port Trust, Mr P. Tamilvanan. 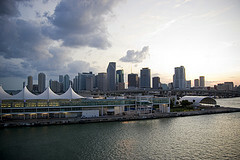 With the busy fall and winter cruise seasons approaching, Miami, Florida is typically a hub of cruise line activity but this year Royal Caribbean's global plans have left Miami with less ships than it's used to. Royal Caribbean has 11 ships in Europe this summer but only two will be sailing out of South Florida this winter and both are in Port Everglades. Instead of mooring in Miami, Royal Caribbean is basing them out of pots such as Baltimore, Port Canaveral, Tampa, San Juan, Dubai and Brazil. And Royal Caribbean’s two ships based in Alaska during the summer are going to Australia for the winter, not Miami. So what's left in Miami this winter? Just one ship will be sailing out Miami and that's Majesty of the Seas, which is offering three- and four-night cruises to the Bahamas. On our cruise to Falmouth, Jamaica last week, we took some time to take some photos of the port area to give you an idea of what the construction progress is like. To be honest, we found the port a lot further along than we had read about. 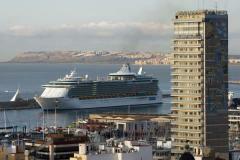 The Port of Alicante, Spain this week has received more than four thousand tourists arriving on board the biggest cruise ship that sailed the Mediterranean Royal Caribbean's Independence of the Seas. Independence of the Seas arrived at 8 am and departed at 4.30pm on Monday. After just a few hours there were no shortage of visitors to Santa Barbara Castle and the Old City. According to the cruise line, these are along with the beach, are the great attractions of Alicante. Some charms, together with the short time of docking, the majority opted to stay in the passage in the city. 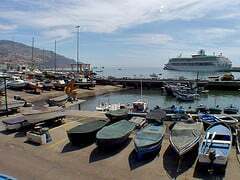 The activity around a cruise begins early to use the time in port at 8.30am, where cruise ships dock, was already a hive. Nine buses, three of them bound for Benidorm for being the most requested tour and the rest to other parts of the province as Novelda, Elche, Guadalest and the Fuentes del Algar, waiting for the tourists to drop ship. Royal Caribbean explained that prices of the tours range from 19 euros it costs to transfer by bus to Benidorm to 35 or 45 euros for those who leave the other tours. "We've never been to Benidorm, but we hear it's beautiful," said Jean and Ray, a married Australian who traveled to the English port of Southampton to climb aboard this floating hotel. But "most people will visit for free the city and especially to the beach," said Coralia Leopea, responsible for Royal Caribbean's excursions. Hence the line of tourists can be seen walking along the pier throughout the day and the constant trips that a shuttle bus between the boat and access to the port to avoid the long ride cruisers without shade. Port Canaveral, Florida is celebrating the start of construction of a new cruise terminal with a scheduled completion date of July 2012. The new terminal should be large enough to handle any cruise ship in the world, including Royal Caribbean's behemoth Genesis class ships such as Oasis and Allure of the Seas. Port Canaveral Port Authority Chief Executive Officer J. Stanley Payne says the new Terminal 6 dock will be large enough to accommodate "the absolute largest cruise ships in the world," including Royal Caribbean's 6,200-passenger, Genesis-class ships. Currently Royal Caribbean's Freedom of the Seas is home ported in Port Canaveral, which was the largest passenger ship ever built (by gross tonnage) from 2006 until construction of Oasis of the Seas, so large ships are something Port Canaveral can handle. Royal Caribbean is planning on sending more ships to Australia, but the company has concerns that the Australian ports could become overwhelmed by demand in the very near future. Royal Caribbean feels that if a new terminal in Sydney, Australia isn't built soon, the port will reach capacity in 2013. Australia is enjoying increasing demand and the market for cruises is expanding so quickly that the facilities in place today will not be able to keep up with the increasing number of large cruise ships entering Sydney harbor. Royal Caribbean's Australian managing director Gavin Smith released a statement that covers the growing concern, "We have a good situation that needs attention before becoming a problem." Royal Caribbean wants the New South Wales government to reconsider the $60 million allocated by the previous Labor government to build a new terminal in White Bay, in Sydney's inner west. Smith continued, "Our view is $60 million is a considerable amount of money to invest in a permanent terminal west of the Harbour Bridge that most ships calling into Sydney in the future won't be able to use. It would be more prudent and viable to redeploy a large part of the funding towards a terminal (east of the bridge) the whole industry can use"
Royal Caribbean has a good reason to be concerned, given their announcement that they will quadruple the amount of guests they will handle over the next few cruise seasons. Officials of the Port Authority Ferrol-San Cibrao have confirmed that, as initially announced, Royal Caribbean's Independence of the Seas will return to the city of Galicia on September 26 after docking for the first time on April 25. The September 26th is a Monday, so travelers will find all the retail and hospitality of the city open, which will make their shopping more comfortably than the previous occasion, which fell on a holiday. This will also be an opportunity to give the tourists a good idea of what the city is really like.